The Grail. Not what we've been told it is, not where we've been looking. Not a cup, not a bloodline. The most powerful force ever known. Waiting to be tapped . . . for good or evil. At a concert in Berlin, simulcast around the world, Twisted Messiah, a nihilistic, destructive international rock group, calls on the world’s angry and alienated to regroup in a kind of world-wide quasi-political cult, under its leadership. Some journalists describe that concert as "a Nuremberg rally on steroids, updated to today's mindset and technology," and the Twisted Messiah worldwide "army" of misfits "a force looking for a target." In Washington, a message arrives unexpectedly, inviting Greg Tapscott to a meeting in La Rochelle, France, with the promise that he will finally learn the "truth" about his uncle, an OSS agent, "alleged to have been killed in action in France in 1944, along with the secrets that he uncovered at that time." The family has long been convinced there was a government cover-up. In Washington, a journalist claims the two strands--Twisted Messiah and its political ambitions, and what was turned up by Greg's uncle in 1944 are intimately linked. He is murdered before he can explain. What did Paul Tapscott find? Was it, as sources claim, "perhaps the deeper truth behind the Holy Grail legends . 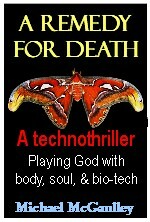 . . perhaps the most powerful force—or weapon—ever known: A technology for tapping the highest human potential?" Welcome to my author's research blog for The Grail Conspiracies. Rather, it's about another very different--and very plausible--thesis: the "grail" in fact refers to a dormant power, or cluster of powers, within our human minds. Want to know more of the background of this "alternate" Grail concept and the evidence supporting it? The blog posts below are drawn from my research in writing the book, as well as from what I’ve learned in keeping up with continuing developments in related fields. Topics include:To read more of these research topics, check the archives in the column on the right, or just scroll down.